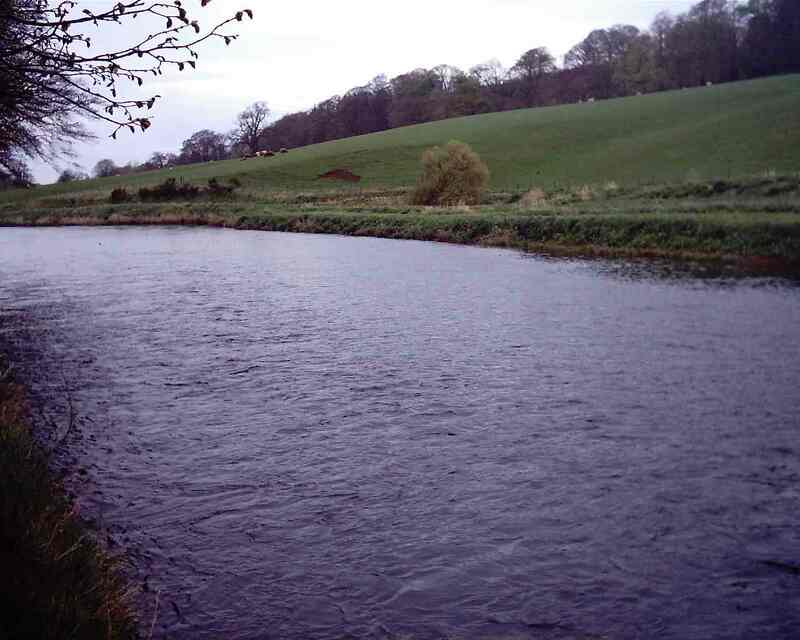 The Mountblairy beat now incorporates the whole of the top beat and the famous Shaw pools from the lower beat from where the heaviest salmon caught on fly was grassed by Mrs. T Morison in 1924 at 61lb. As a result of this amalgamation many pools have been improved on the upper beat. The old top beat is opposite Dunlugas. The upper pool Points is a good high water pool. Greenbank is the next pool down and can be a good sea-trout pool. 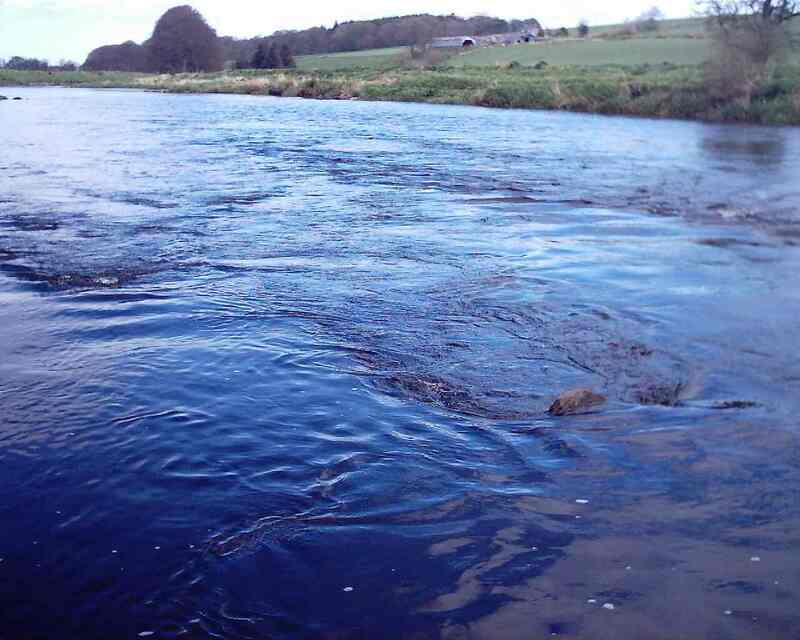 It usually holds salmon in spring and autumn and is amongst the best on the beat. Boghead is a fly only pool and fish lie at the Dunlugas side. The Cobbles is a good low water pool and sees fish again on the far bank. This flows into The Rabbits which again fishes well in low water. The Canada comes next and is a long still pool. Obviously due to its nature it fishes well in a spate but it does hold fish and is always worth a go with a sink tip and a large fly. Next down is The Rats Tail and it fishes well in higher water. 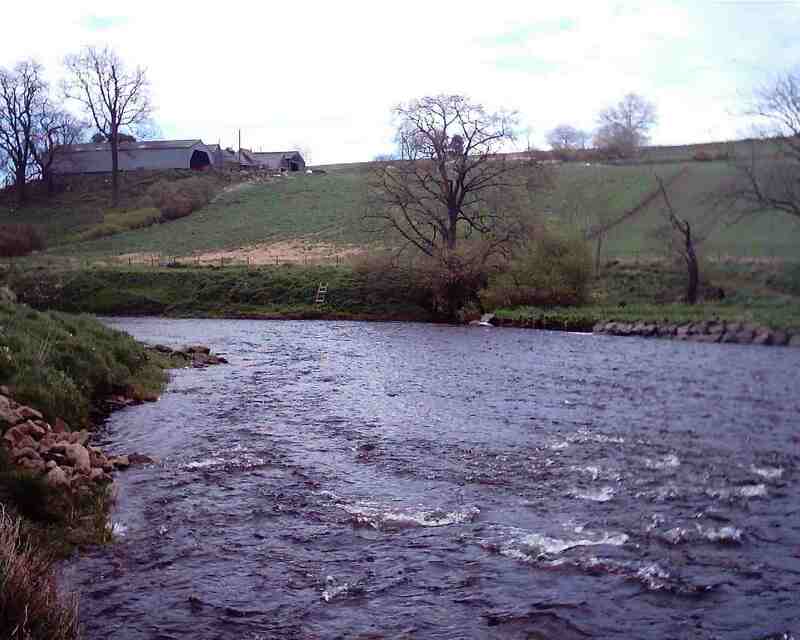 Fish can be found under the near bank as well as off the stream on the far side. Mausoleum is the next pool and it again has had work done to the croys. There is a small burn at the top and fish – especially sea-trout can be found there. The next part spins well in high water and as you pass through the croys you can pick up fish off them, especially the last one. The Island fishes well for sea-trout at the bottom of it and the next two pools Shingle and Hen Ford are not that productive but I have taken or spooked fish lying into the bank. The Upper, Middle and Lower Shaws are really excellent pools. The glide at the top can hold fish and as you make your way downstream to the rough water fish can be picked up almost everywhere. As you round the bend fish are lying at the far side of the flow and then either side before it shallows up. Middle Shaw is quite fast but holds fish off the stream and as you enter Lower Shaw fish can be off the points of the croys then farther over towards the hut. Fish hold station under the pipe bridge and the slack water is good for spinning in high water all the way to the beat end. this part of the beat is double bank. However the plan is to split the whole beat into two on the old upper beat and two on the Shaw pools with the possibility of three on the upper beat once all the bank work is complete. The beat split / changeover will be determined by which cottage you have. There are Two cottages available to rent on this beat and priority is given to fishers taking the accommodation.